The brand new 2019 INFINITI Q50 is finally here and it’s even more impressive than you could imagine! One of many advanced features is the drive mode selector to customize your driving experience. This video shows off just a small taste of the six different drive modes available to use in your Q50. The drive mode selector helps you to customize your drive, which you can continually switch depending on what road conditions you are encountering. The standard mode is just your typical drive mode. The eco mode adjusts your throttle to give you the best fuel efficiency possible. The sport mode will help to tighten the suspension to give you a sportier drive. You can then experience more dynamic performance with sharper handling with sport+ mode. There is also a snow mode, which allows you to handle better and more efficiently in the winter weather. Lastly, your personal mode is where you can truly customize your drive with five various settings that make the drive your own. 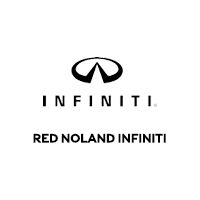 Here at Red Noland INFINITI in Colorado Springs we currently have four 2019 INFINITI Q50 sedans available for you to choose from. Visit our southern Colorado dealership today and test drive this impressive luxury sedan. Try out the drive mode selector and experience how amazing this will make each of your journeys!